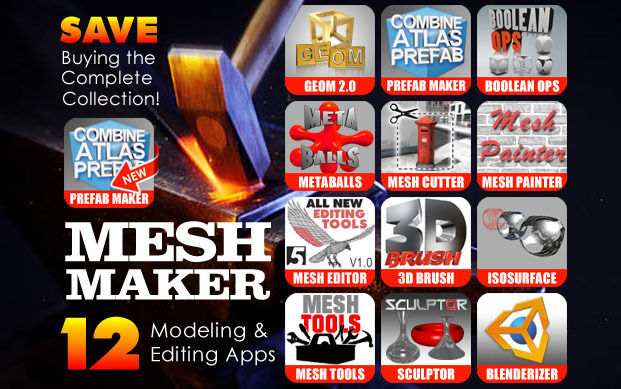 A new addition to the Mesh Maker collection has been submitted to the Unity Asset Store for review. 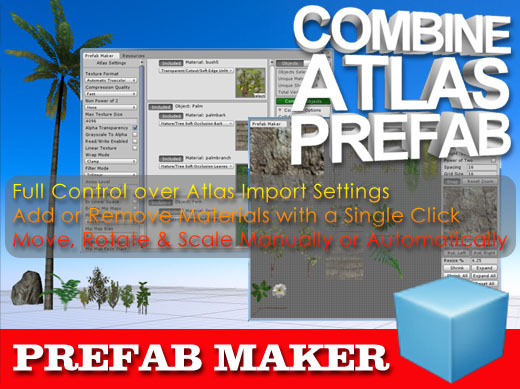 Prefab Maker quickly combines objects and prefabs, atlases the textures and creates a prefab for you, all with just a few clicks. The texture atlasing is handled automatically but you have the option to manually move, rotate and scale the textures for the best fit. Creates small swatches with a solid color for objects with no textures so that they can be grouped by the same shader. 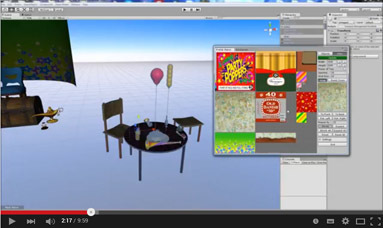 You have full control over the atlas settings to output either highly compressed or hi-res textures. The program also comes with tools to position and center the pivot point for the new prefab.